Established in June 1998, Glass Decorations is an independent decorating company and currently one of the largest specialised decorators of glass bottles and other containers in the Southern Hemisphere. 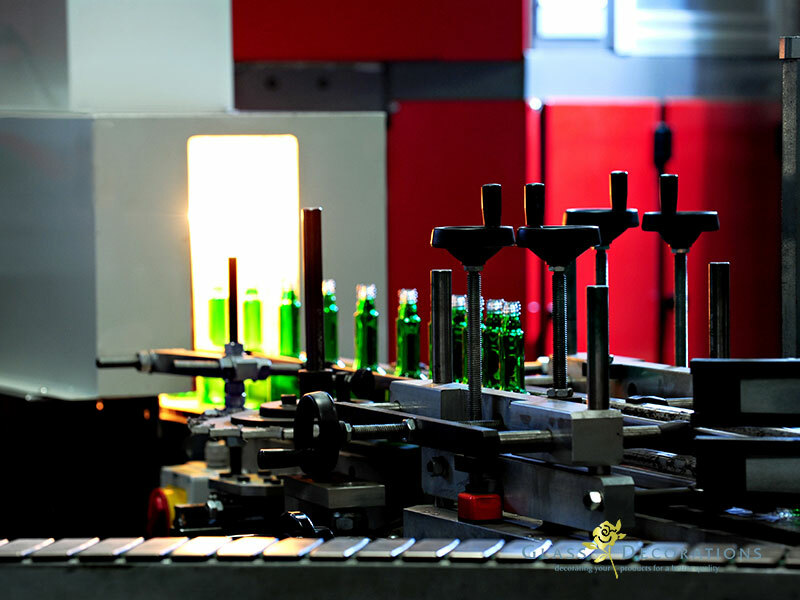 Through extensive research and total involvement by our creative management team, Glass Decorations has evolved into a company that has unsurpassed functional and technical capabilities and knowledge in the value add of coating, decorating, foiling, labelling and sleeve application opportunities. We are the sole decorating company for brands such as Jack Black, Monis, Russian Bear, Carvo Vodka Infusion and other. We also decorate Coca-Cola beverages, as well as Klipdrift Gold. Significant opportunities continuously transpire in the food, beverage and pharmaceutical categories and exciting and colourful innovation has significantly advanced the development of premium offerings to the local cosmetic and fragrance market. Glass Decorations is located in Clayville, Johannesburg with easy access to all major routes. A privately-owned property including custom built factories and offices on a 40’000m² premises with direct access to a natural gas pipeline. Glass Decorations comprise of several individually managed facilities which service specific production and operations requirements. The premises is specifically designed and includes U-shaped, access controlled entrance and exit to allow easy access for super link vehicles. All products are stored under roof in appropriation to the type of value add medium. Glass Decorations high-tech factories, include semi-automatic and automised decorating machines. Further pioneer technology includes our high speed line, foiling machine, three coating plants, PSL and sleeving machines. Our repack facility, was strategically integrated as an additional offering which falls in-line with the various industries we service including cosmetics, food, beverage and pharmaceutical.